"Sweeeet Caroliiiine, BUM BUM BUMMM!" That was me. Singing in the office. Putting together this post. 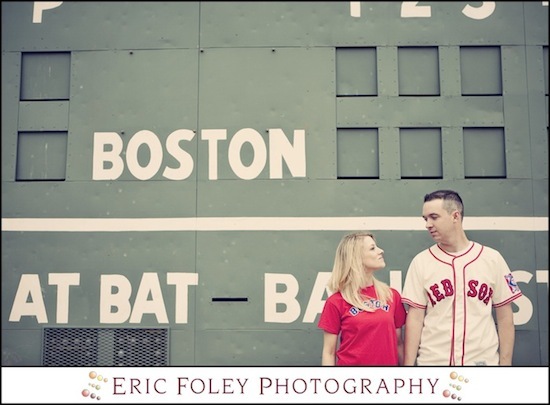 Is anyone as jealous as me that this couple got to stand underneath the green monster and pose for these amazing engagement session photographs? Thought so. Well, I don't think anyone can say New England Sports without immediately thinking of the Red Sox, the green monster, and good old Sweet Caroline during the 7th inning stretch. There is nothing better than sitting in Fenway, eating a foot long, and watching the boys work their magic on the field ... maybe add a beer and some locals and Big Papi hitting one out of the park : ) gotta love it. 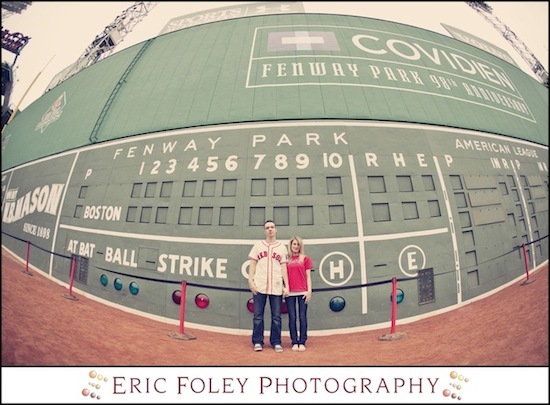 Well, I could go on forever about the Sox, but this engagement session is absolutely adorable. Rhode Island wedding photographer, Eric Foley Photography was behind the camera for this awesome shoot! 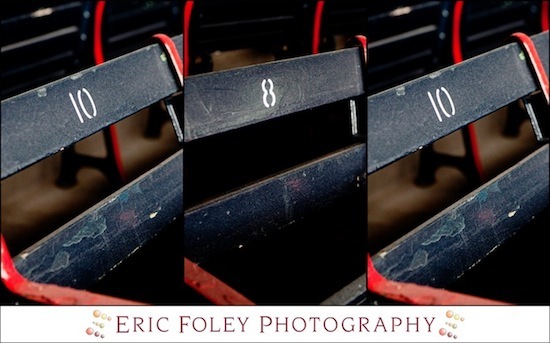 I love the shots of the old seats, classic! 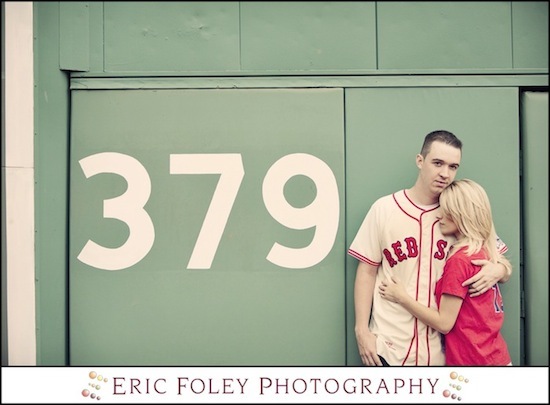 The couple sported their red sox attire and worked their way through the park, green monster and all! .ay. 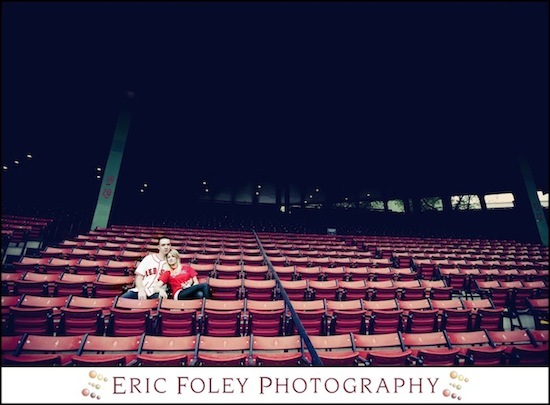 Visit Eric Foley Photography on my Kate Parker Wedding!